Nancy Stewart, Lobbyist for Professional Opticians of Florida from POFCE on Vimeo. Florida is a huge state geographically, and for many people, Tallahassee is an entire day’s drive away from home. 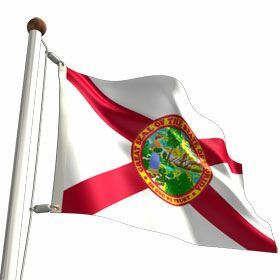 Florida government is substantially housed in Tallahassee, although over the years more and more executive branch agencies and departments have established regional offices for greater public access. The Supreme Court conducts its business only in Tallahassee, and with few exceptions, the Legislature meets and conducts its business here as well. With these parameters it is easy to understand why so many in Florida feel removed from government functions. I have been asked to explain to POF Members what I do on behalf of POF to represent your interests. POF is the only membership organization in Florida that retains a lobbyist to participate in the lawmaking process to protect your license. 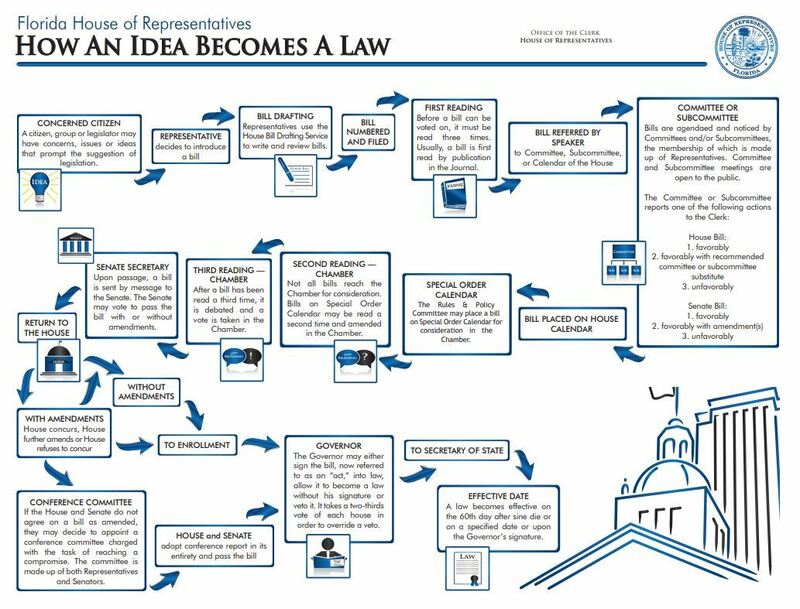 The legislative process is just that…it is a process. During my 45 years in the legislative arena, having served as legislative staff and as a private sector lobbyist, the “process” has been stable and consistent. For many years with various training sessions, I have referred to an excellent flow chart that was developed by a former House Clerk ages ago. Every two years following the election of a new House Speaker and a new Senate President, there may be some limited variations in specific rules and procedures but generally speaking the flow chart is descriptive of the reality year after year. I must point out, however, that you should review the flow chart as a “times two”. The referenced flow chart describes the House “process”. At the same time, the same “idea” must flow through a substantially similar “process” in the Senate. The great idea (bill) must pass through all the steps in both the House and Senate…and if the bill is not moving in both chambers at the same time, time expires, session ends, and all bills die. It must also be noted that it isn’t always about passing brand new law. Frequently, a client may need to fight to preserve current law by defeating amendments or killing a bill. And, many of you remember the fight we had years ago to avoid deregulation of the practice of opticianry…that was a budget issue supported by Governor Bush…there wasn’t legislation to fight against…it was conceptual. And, of course, the good news is that POF launched a massive attack on that concept and we prevailed! Once an idea(s) has been identified, a Senator and a Representative (sponsors) must be engaged to be the advocate and provide a willingness to stick with the bill to the end. Often multiple legislators are asked to sponsor a bill before there is a good fit with an agreement to proceed. All proposals must be officially written by the House and Senate Bill Drafting Services. Often there is substantial negotiation on behalf of the client and the drafting services over the exact wording…yes, we actually argue over the words “shall” and “must”! The bills are numbered and then referred to committees by the President and the Speaker. It is extremely rare that a bill is referred to fewer than 3 committees in each chamber. Prior to a bill hearing, the committee staff analyst for each committee referenced must be educated as to the facts, history, background, details, nuances, and subtleties. Legislators often do rely on a staff analysis prior to a vote. Tick, tock, tick, tock…during this time session is marching on. A Regular Session is limited to 60 calendar days. Even if there is a need for a special session for some purpose, bills filed during a Regular Session do not normally carry over. So the heat is on...there is always a need to push. When all committee references have been cleared, the sponsors must begin the next level of interaction, sometimes pleading, which will result in consideration before the full House and full Senate. This is not an automatic event…sometimes it is a heavy lift just to have floor debate. Floor debate is always interesting because all those members, who did not sit on a referenced committee to become familiar with the contents, may have ideas of their own about the subject matter. On the floor the sponsor is the only point-person to handle the bill. And it is during chamber floor consideration that the House Bill and /or the Senate Bill may need to be amended in order for them to become identical…the exact same language must pass both chambers. And, if we haven’t already had enough fun by then, upon passage by the Legislature, the Governor decides whether the good idea becomes law or whether he disagrees and will veto the bill. Garnering the Governor’s support is a project all by itself! I appreciate your patience with this lengthy explanation. It is important that you know that all the best laid plans can run amok very easily. There has never been a session in the last 45 where I didn’t see something I’d never seen before, and/or learned something I couldn’t have imagined! I hope this information has been helpful.